There are lots of creams and lotions on the market that claim to reduce irritation and provide you with smoother, softer skin, including products ostensibly designed for people with sensitive skin types. But unfortunately, most of the commercially-available creams found at local drugstores and even through major online retailers are chock full of ingredients that have been associated with medical problems – some of them pretty significant. One of the benefits of calendula cream is its reliance on natural ingredients to soothe skin – and if you choose your skin care product carefully, you can avoid many of the harmful products found in most commercial products, including two of the biggest offenders – parabens and petroleum. What's so bad about parabens and petroleum? Petroleum jelly (also called petrolatum) is one of the most basic of all skin care products, but “basic” shouldn't be confused with “natural.” In fact, petroleum jelly is a derivative of the oil refining process, composed of oils and waxes that work together to act as a seal, preventing moisture from leaving the skin – and also preventing air and moisture from entering it. Slathered on unwashed skin, petroleum jelly can trap dirt inside the pores and increase the risk for breakouts. Although the slick texture may seem ideal for irritated skin or over-dry skin, people with chronic conditions like acne and rosacea should avoid products containing petroleum jelly since it can actually make symptoms worse. Even more alarming: Some components of unrefined or poorly refined petroleum jelly are known carcinogens, or cancer-causing agents. If you're looking for a product that adds moisture, there are far better natural oils, like olive, jojoba, coconut and avocado oils, which nourish the skin without smothering it. Parabens are chemicals used as preservatives in many types of skin care products, including skin creams. Like petroleum jelly, parabens can cause irritation in some people with sensitive skin, but their estrogen-like properties are of even more concern. Some studies have suggested parabens may be linked with certain types of cancer including breast cancer, and research has also suggested parabens may interfere with the male reproductive system. Water-based My Girls™ Skin Care cream uses natural emollients in addition to soothing calendula and rosemary to calm irritation and reduce inflammation that can cause redness and tenderness. Plus, the cream contains vitamin B5, known for its plumping effect on mature skin and help with firmer and more resilient looking skin. 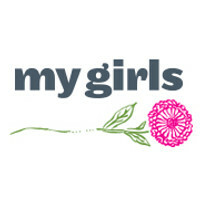 My Girls™ Skin Care is also 100 percent free of dyes, fragrances and parabens, and it contains more calendula than homeopathic creams used to treat radiation dermatitis, rosacea and other conditions. This is a primary reason why it has developed a following among people undergoing radiation therapy and why it has become a favorite among radiation oncology nurses whom recommend it in US cancer treatment centers for the skin side effects that may occur during and after radiation therapy. If you'd like to learn more about My Girls™ Skin Care cream or request a sample, visit our website or connect with us on Facebook . We'd love to hear from you!